"Existing preclinical drug screening, which relies on cultured cells or animal experiments, does not reflect the physiological environment in which human organs work," says Professor Cheol-Min Ghim in the School of Life Sciences at UNIST and Director of the UNIST-WRIRM-UniBasel Organ Mimetic Research Center. 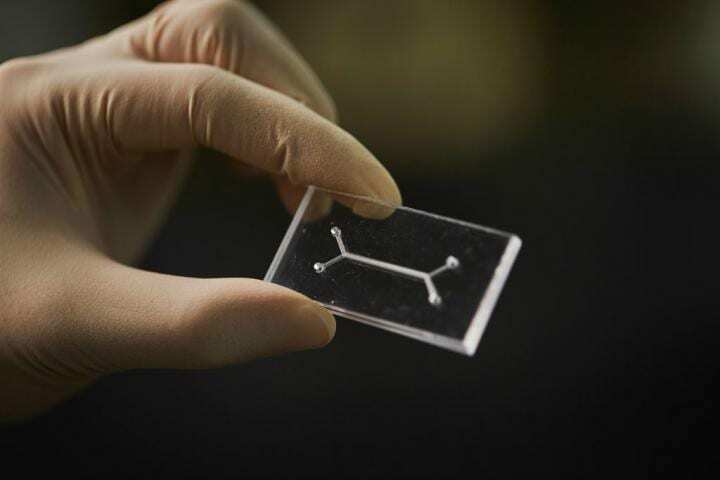 "Organs-on-chips show great promise in mimicking human tissues and organs and are a good candidate to overcome the problems of current organs-on-chips, such as time consumption and the ethical dilemma of animal testing. "By advancing the existing 3D bioprinting technology that can mimic biological systems of human tissues and organs, we may one day be able to realize the development of organs-on-chips with 3D-printed biomimetic blood vessel networks," says Director Ghim. "If we could use that for new drug screening, there will be a major paradigm shift in new drug discovery."